The inhabitants of this architectural concept by Masov Aibek might have to sacrifice a great deal of privacy in this towering windowed house, but they'd get to commune with both the nature outside and the tree growing through the middle of their home. 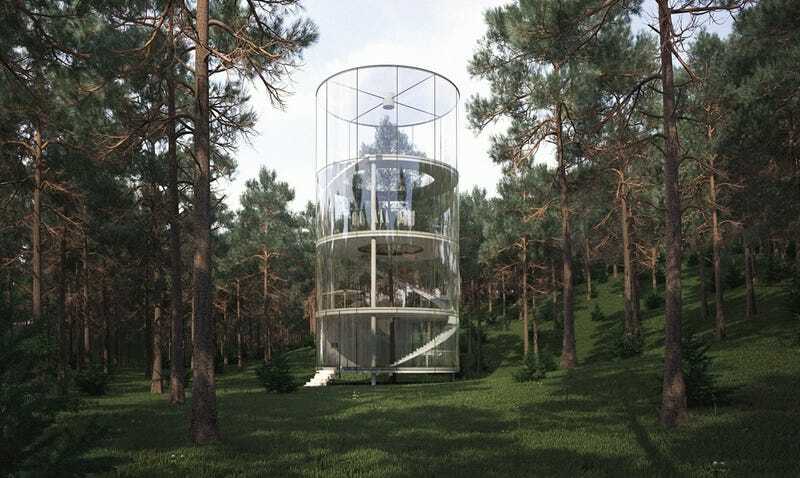 Although the four-story transparent tree house is only a concept right now, according to WebUrbanist, construction will begin on the house in early 2014 in the fir forests of Almaty, Kazakhstan. It's a neat idea, but I wonder how the interior tree and the building will coexist long-term. I imagine that there's a lot of pruning involved.